Can Hospitals Break Even with Medicare?  - ONRAD, Inc.
14 Dec Can Hospitals Break Even with Medicare? HealthLeadersMedia | December 13 – Most hospitals lose money on Medicare. It typically only reimburses 85% to 90% of costs, and it usually takes cost shifting to private plans for a hospital to stay in the black. The equation looks like this: Take the (hopefully) positive margins from private payer business and subtract the (usually) negative margins of Medicare and Medicaid business, and what’s left over, if anything, is profit. But what if you could get that Medicare number to zero? Sure, positive margins on Medicare reimbursement would be nice, but just getting to the break-even point could have a major impact on a hospital’s overall financial picture. Private payers, which generally reimburse at higher rates, suddenly become more profitable, because you’re no longer relying on them to climb out of a hole. “If you can break even on Medicare, everything else is gravy,” says John Whittlesey, principal with the Healthcare Management Council. Recently, Whittlesey was trying to get a better understanding of how one CFO’s hospital Medicare finances compared to others, so he decided to run some numbers on 40 facilities across the country. Only five of them were profitable, and another 10% were near the break-even point. The vast majority was losing significant money on Medicare work. “We were surprised that so few facilities were making money on Medicare, and not a lot of money, just 2% to 5% profitability,” he says. Then he started looking for similarities. Nursing levels and other overhead and support functions didn’t really stand out. The biggest difference seemed to be in ancillaries and supply utilization. “The hospitals with more success were more cost effective and had a better grasp of controlling and managing utilization,” he explains. Overutilization and waste aren’t problems confined to the Medicare population, of course. But the lower reimbursements make them more pressing. In fact, that’s part of CMS’ gamble. If reimbursements aren’t high enough for hospitals to grow comfortably, they will in theory be more motivated to trim the fat to get back to profitability. Most organizations aren’t there yet; Whittlesey’s numbers show that. But they also prove that the Medicare break-even point is achievable.